An information is a document which includes an accusation of formal charges of criminal conduct against a defendant. It is a common method of introducing criminal charges against defendants in many states. The prosecution files the information and a judge considers the information at a preliminary hearing. This is the most common method of proceeding with the prosecution of criminal cases in many states and differs greatly from the grand jury process. In many states a prosecutor has the option of proceeding with an information or with a grand jury indictment. 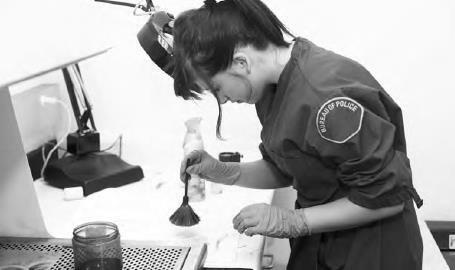 A forensic scientist tests for fingerprints. A possible lack of evidence tying the accused to a crime is one preliminary hearings are held to decide if a case should go to trial (iStock).